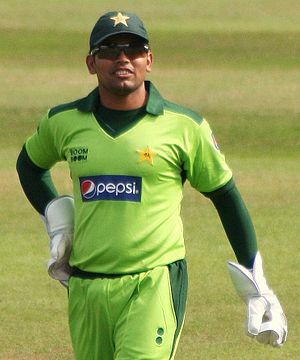 Kamran Akmal is back in the Pakistan’s squad for the ICC World Twenty20, 2012. The tournament begins on September 18th, 2012. Kamran hasn’t played for Pakistan for over an year now, his last international appearance was in the ICC world cup 2011. His inclusion would definitely strengthen Pakistan’s batting that is going through a bad phase. This return however has surprised a few because there wasn’t much clarity on his position with International Cricket Council (ICC). Akmal was sent a notice by ICC’s anti-corruption unit and he also got summoned by the integrity committee. He however claims that ICC has cleared him of all the charges. Pakistan is in Group D with New Zealand and Bangladesh and they look strongest in their group. Two other players who have made a comeback are Abdur Razzaq and Imran Nazir. Nazir being an aggressive opening batsman would look to provide the innings with flying start and Razzaq who has always been a fine all-rounder, very dependable, on his comeback would want to make a point. Other than India, England and Sri Lanka the team that looks like making an impact is Pakistan given their world class bowling and handy bits and pieces players who are relatively dangerous in the shorter format of the game. It promises to be an exciting 20-day affair with some quick-fire batting, toe crushing Yorkers and acrobatic fielding displays. And lets not forget the colour and glamour around the ground 😀 !! !